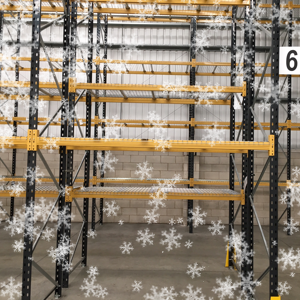 Warehouse steps Archives - Shelving & Racking Ltd.
To compliment our pallet racking and longspan shelving systems, we also have an extensive range of mobile warehouse safety steps. 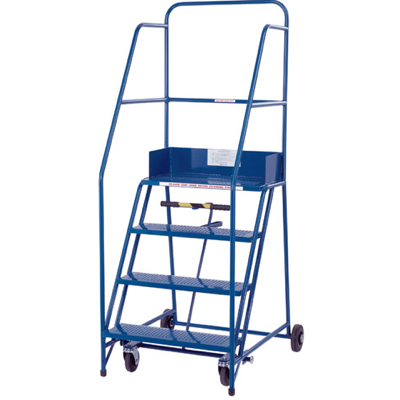 Our mobile warehouse safety steps are available in sizes from a small two step tilt and move, suitable for stock rooms or office environments, to 15 tread, 3750mm high extra wide warehouse steps which would be ideal for picking areas in a distribution centre. The whole range is ergonomically designed, strong, easy to manoeuvre and safe to use. All our safety steps have a large working platform (which can be extended on request) and a safe working load of 300kg. They come with 2 handrails and can be adapted to include platform exits and bottom gates, please give us a call for a price or more details. All our steps are made to order, with a lead time of 7-10 working days and we can delivery to any UK mainland address. We have recently supplied warehouse steps to businesses in Sheffield, East London, Devon and Middlesbrough. Can us now on 0800 612 3210 to discuss your options or, if you know what you need you can place an order here. 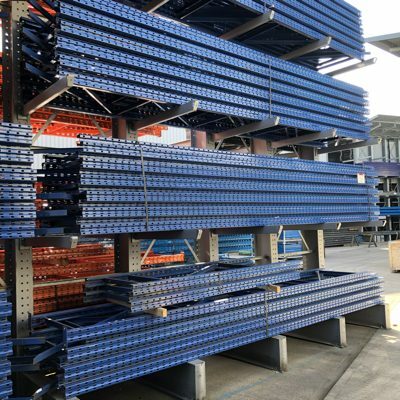 As well as pallet racking and heavy duty shelving, we also supply warehouse steps, lockers and a wide range industrial storage equipment. Our mobile safety steps are available in sizes from two step tilt and move to 15 tread, 3750mm high extra wide warehouse steps. The whole range is ergonomically designed, strong, easy to manoeuvre and safe to use. 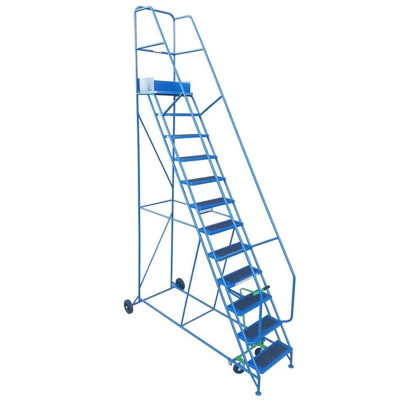 The safety steps have a large working platform and a safe working load of 300kg. They come with 2 handrails as standard and can be adapted to include platform extensions, platform exits and bottom gates, please give us a call for a price or more details. 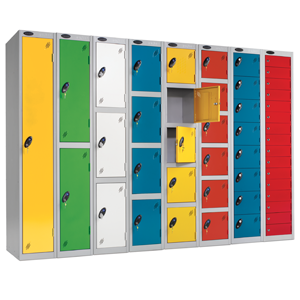 We also have a large catalogue of industrial cupboards and specialists cabinets for the safe storage of a wide variety of equipment and materials. Please have a look round the website and give us a call with any enquiries or questions you might have. You can also send us a message using the enquiry form and we will reply to you quickly.